I was surprised to see that Tammi Sutton; the director and writer behind Whispers was also responsible for Killjoy 2: Deliverance from Evil (2002). It is good she has came on in leaps and bounds from that, as while this movie isn't fantastic it is in a different league to that trash heap. I don't often give films scores in the lower half of the table. Whispers was really quite close to a below average score but in the end the things it does do right helped bring up the rating somewhat. Catherine (Keeley Hazell) and her husband Harvey (Craig Rees - Angel) have recently lost their young child and so have moved to the English countryside in order for Catherine to recuperate from the ordeal, as she hasn't taken the death well at all. She starts to experience supernatural goings on at the mansion they are staying at; doors slamming, ghostly voices, and vivid nightmares. This all comes to a head when friends of theirs - Simon (Phil Bloomberg - Psychosis) and his pregnant girlfriend Sasha (Barbara Nedeljakova - Hostel) come to stay for the weekend. 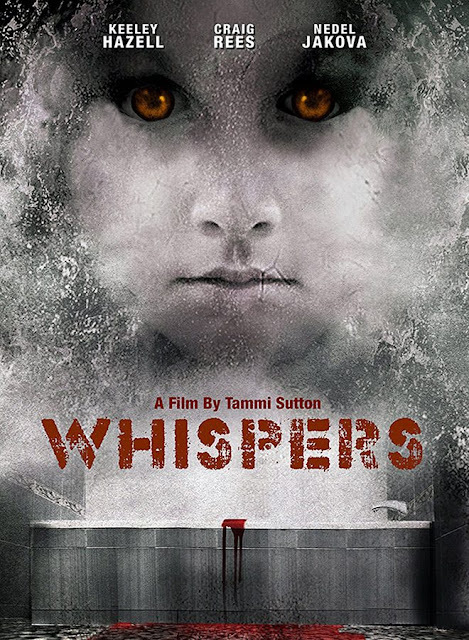 Whispers is a horror film, but one that relegates that part to one side to instead focus on the drama of the situation the couple find themselves in. This is a film about grief, focused on Catherine, and Hazell is a great fit for this role, making for a believable performance. Rees is also a good fit as her husband, they seem to have little chemistry between them, but then that is the point, flashbacks to counselling sessions show the huge division that their child's death has had on their relationship. In deep depression, and on medication it is no surprise that no one really believes Catherine when she starts talking of ghosts, I myself thought maybe all the goings on could just be in her head. My favourite character was Simon though, if only for his ridiculous lower lip moustache he was rocking, cheered me up every time I saw him! The side lining of the supernatural was part of my problem with this, that is kept to a minimum and is always low key, sure it is unsettling for the character but it never goes far enough that you would shout at the screen for her to get away from the haunted house. As such it just appears as a mild inconvenience and so wasn't that exciting. Of course this all changes for the final fifteen minutes of this ninety minute film where events ramp up to include the whole cast and not just the one character. This finale was good, and while the big twist ending wasn't obvious, it was something I had seen before many times in horrors. 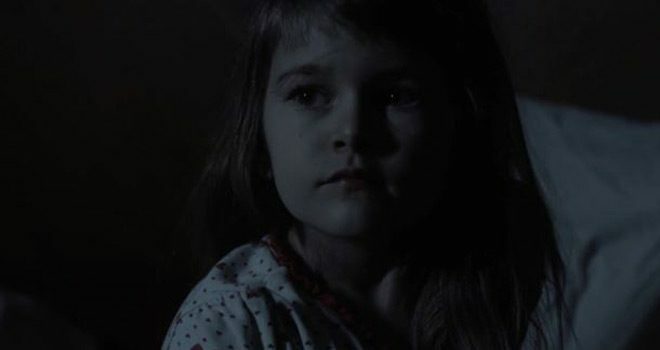 The supernatural is mostly made up of doors suddenly slamming shut and of the repeated image of a little girl ghost who looks aged and weathered like an old Victorian era photograph. It is also made up of some really quite fantastic nightmare sequences that go to an almost art house style of discordant sounds and quickly edited sequences of a zombie like creature. The best was the very first one when in her dream Catherine visits her daughters grave but plummets through the earth into a cavern. 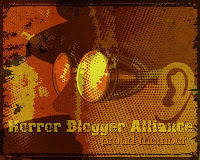 Whispers is obviously a film with a low budget and that is seen no greater than with the sound design. Often background interference pops in and out intermittently, it happens enough that it became quite obvious and distracting with characters talking with background noise, then suddenly all you can hear is their voice before going back to hearing background noise again. At times it felt like this film just wasn't finished, coupled with some weird edits that makes scenes feel abandoned halfway through, actors seeming to have trouble with the stiltedness of the script - it felt slightly unfinished. There was a strange sub plot that had what I assumed was Catherine as a young child seeing ghosts in her childhood home. I couldn't figure out what bearing at all this had to the rest of the movie as nothing from it seems to connect at all to the rest. I understand what Whispers was going for with the mix of real life horror (the loss of a child) and fantastical (ghostly goings on). I didn't really feel the film flowed too well though. Taken as separate parts scenes work well despite budget constraints, but they just feel disjointed like several ever so slightly different takes on the supernatural being glued together haphazardly. It all leads to a film that just about managed to be average, but not more than that which was a shame. Whispers is due for release in the UK on 17th September later this year thanks again to High Fliers Films.